Parks on Tap will be traveling to the Belmont Plateau the last week of May! Parks on Tap is Philadelphia’s first and only mobile beer garden that travels to a new park within the city each week during the season. 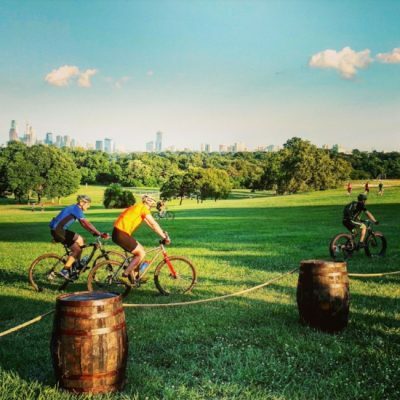 Parks on Tap is a program in partnership with Philadelphia Parks & Recreation, Fairmount Park Conservancy and FCM Hospitality. A portion of sales goes back to Philly’s parks! The Belmont Plateau in West Fairmount Park provides one of the best views of the Philadelphia skyline. The Plateau, as it is affectionately known, is also home to nearby cross country trails and has hosted countless youth, high school, college and National Championship meets since the 1960s.